Welcome to the fun and easy way to learn ASL. 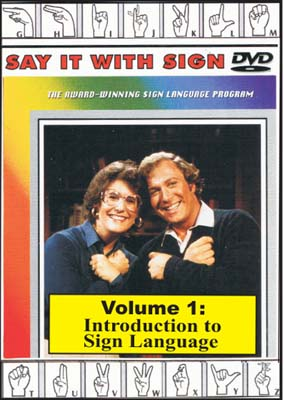 Say It With Sign is the most comprehensive video series on sign language ever produced. 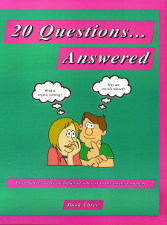 This ASL video course conversational sign language in 40 lessons which have been compiled onto 10 DVDs, totaling 20 hours of viewing. 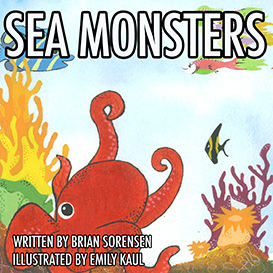 Produced by Lawrence J. Solow, PhD (audiology) and his wife Sharon. 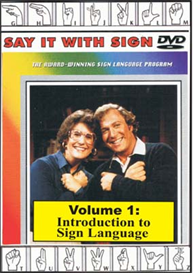 There are forty half-hour lessons in the Say It With Sign series, each containing a series of new signs, several fingerspelling exercises, and some sample dialogue given to teach conversational phrasing. Every 5th lesson is a review of the preceding 4 lessons. And now we are presenting Say It With Sign as downloads in the MP4 video format, using the high quality H.264 encoding, playable on all Apple and Windows machines. Lesson 1: "Introduction to Sign Language"
Some of the signs in this lesson: stop, come here, please, smile, frown, type, piano, what, eat, good, banana, me, you, him/her/it, give, old, want, dog, yes, no. Some of the dialogue in this lesson: just a minute I''''m eating; what are you eating? ; I''''m eating a banana; is it good? ; so-so; it''''s an old banana; give it to the dog, he wants the banana; no, I want the banana.